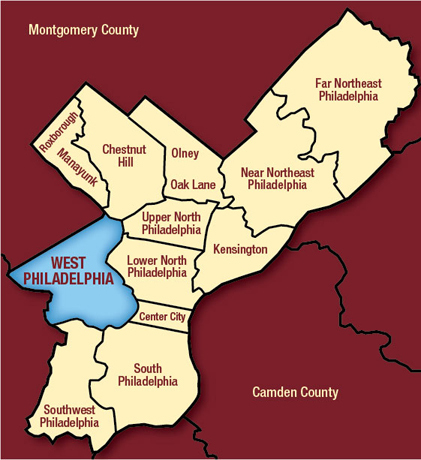 West Philadelphia Real Estate is a local real estate brokerage company dedicated to providing quality real estate services to those interested in the West Philadelphia area. As a full service PA Licensed brokerage we offer buyer/seller representation, property management and development consulting. Believing all real estate is local our associates, all of whom live in West Philadelphia, have dedicated themselves to focusing their professional efforts exclusively on the West Philadelphia area. In doing so, we ensure that the expert guidance and insight we provide our clients is not only professional but also experienced and knowledgeable. In addition to our brokerage services, our affiliated development firm WPRE develops scattered site new construction and rehabilitation rental homes and commercial units in West Philadelphia. For a brief description of WPRE and some before & after photos of its developments click here.